Wow what a crazy week of highs and lows! First off, we have to give a huge THANK YOU to the Shanghai Bloggers and all the companies for the amazing goodie bag! 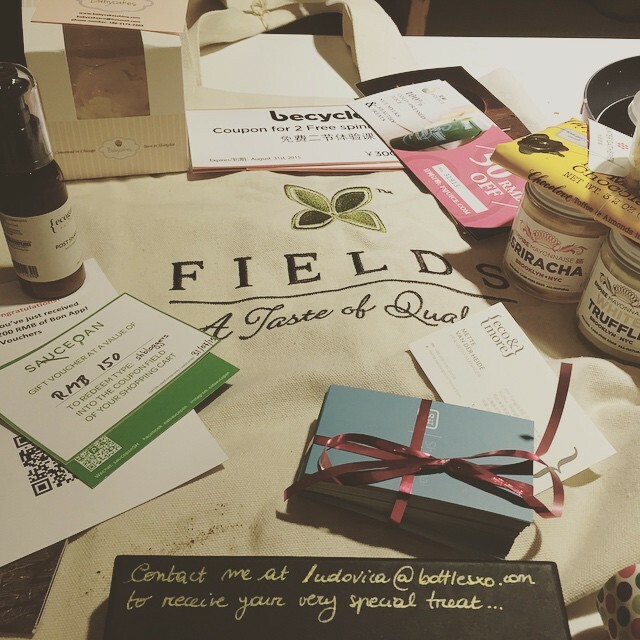 Fields (an online grocery store) was very creative and gave us product that related to our blog! Can you guess what it was? Corn! So if you’re looking for a way to keep up with all the Shanghai bloggers, download the app! Besides the amazing party, I had my week of concerts. It was stressful and exhausting but well worth it! 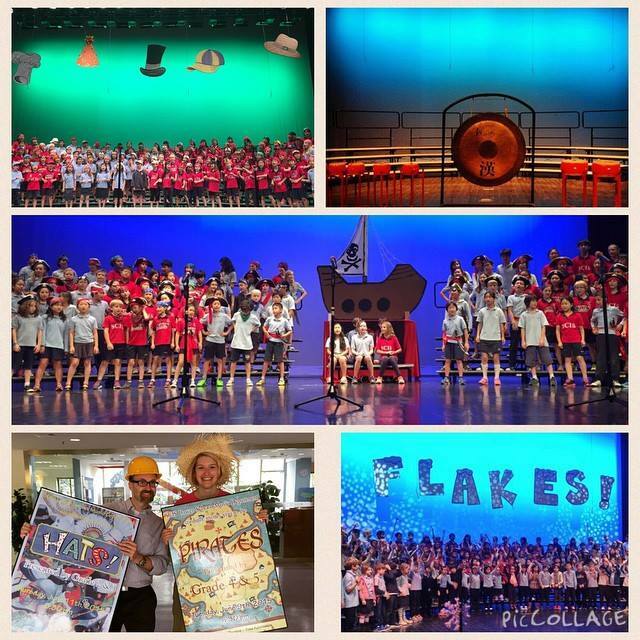 This year Sean and I did 2 mini-musicals for grade 4/5 and 2/3. Both concerts went extremely well and the kids had a blast! The past 2 years have flown by, but I have to say Sean and I have done a pretty good job! Finally, the end of the week was a weekend of goodbyes. A lot of people at my work are leaving to bigger and better adventures. This is the hardest part of teaching internationally. So when it comes to having a good-bye party in Shanghai, what do you do? Since it’s the end of the year and every other day there is a party, we wanted to keep it cheap but fun. My friend Boramy recommend a place at Super Brand Mall called Ashley’s! Besides the horrible cab ride there (we should have taken the metro!) the place was awesome. First of all the price is great 250RMB for all you can eat and DRINK! That’s like the same as brunch for 2 at element fresh! The buffet had a variety of options: crab legs, lamb, pizza, pasta, salad bar, fruit and of course a chocolate fountain. You could also get the menu item of the day which consisted of scallop, shrimp, or steamed crab! The location is also pretty stelar. It’s on the 8th floor over looking the bund. Overall it was a great experience. After brunch we went to KTV…at 3 in the afternoon. It was a great day!